Tip # 1: Get a spray tan 3-4 days before the wedding day. It gave me a bridal glow! Tip # 2: Wear a button down shirt when you are getting ready so your hair and makeup don't get messed up when you go to put your wedding dress on. Button down shirt getting ready is a must! Tip # 3: Apply waterproof mascara over your other mascara so when you cry your makeup doesn't run. 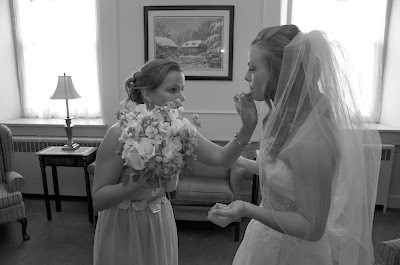 Tip # 4: Buy the lip gloss your makeup artist uses so you can reapply before pictures. Tip # 5: Don't wash your hair the day of the wedding. Most stylists recommend you wash your hair the day before. Tip #6: Carry extra bobby pins in your purse. That way you can quickly fix your hair and get right back to the party. Tip # 7: Don't forget to put on deodorant! 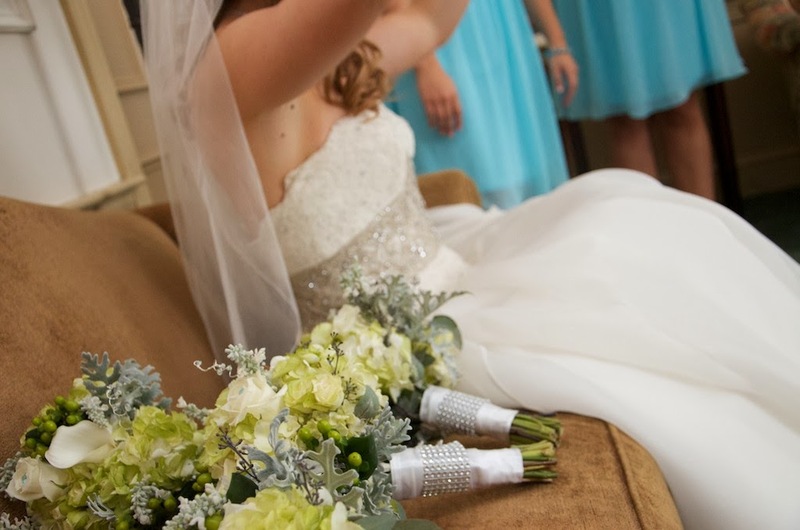 Your nerves will make you sweat a little more than normal, don't be a smelly bride! I knew I had applied deodorant after I showered in the morning, but when we got in the limo, I freaked and said "oh my gosh, I don't remember if I put deodorant on after I put my dress on!" 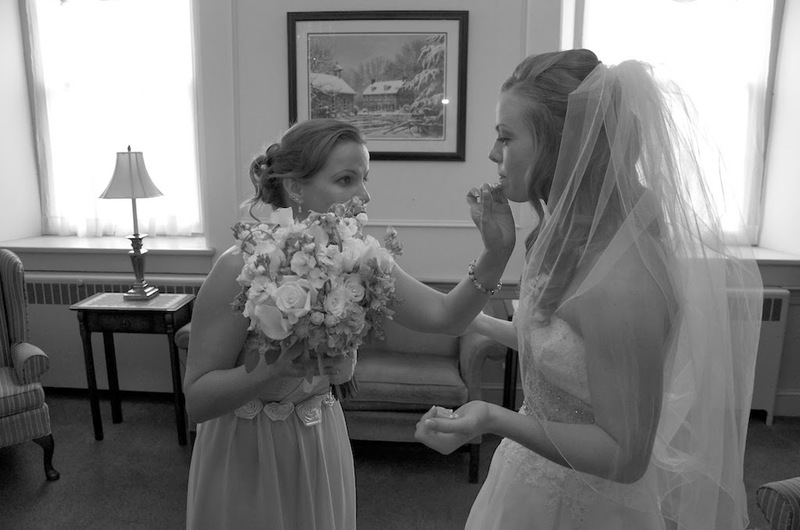 Luckily Mandy (Matt's sister and a bridesmaid) said "I have some!" So of course I put it on in the limo, while driving to the church. I think 3 other bridesmaids applied as well; Laughing the whole time! !